The time has arrived. After being home for the past 4 years and tied to either myself or my mum’s apron string, Mia’s knot has been untied and she is now officially a preschooler! This moment has been discussed and prepared for over the past few months and although we knew it had to happen, it always leaves me with an empty and sad feeling. The thought of Mia being in the care of someone unfamiliar to her and the fact that she is my baby and the last one to enter the world of education, was always going to leave me feeling an overwhelming sense of emotions. 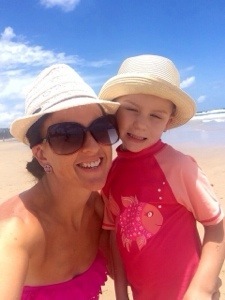 For the past 4 years, it’s been mum and I nurturing and caring for Mia. We’ve been the ones to teach her numbers, colours and shapes. We have been the ones to encourage her to be independent, give her cuddles and kisses when she is sick, reassure her when she is scared. We’ve read millions of books, sung a trillion of songs and been there to wipe her tears when she’s fallen or become overwhelmed by her fears. We have, WE have!!! For me this isn’t the end of this road. I’m still lucky enough for Mia to go to preschool the two days I work and spend the rest of the week at home doing what we love to do best – hang out together!! But for my mum, this is the end of the road for her baby caring days. 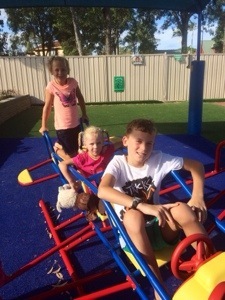 For 14 years mum has looked after each grandchild, one by one until they reach their preschool age…Mia is the last grandchild to do this! What a huge end of an era. 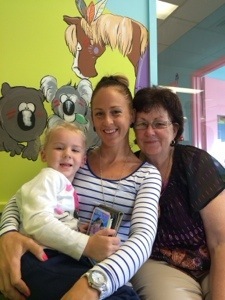 My sisters and I were so blessed to have our mother by our side until we went to school…our children have also been blessed to have their nanny for the same time! I thank my mother from the bottom of my heart for being there for my children while I’ve worked. 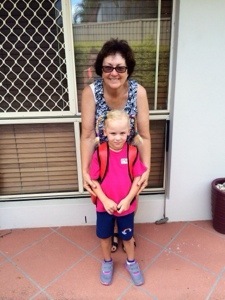 Mum has spent my part-time working days nurturing and educating my children just as I would. 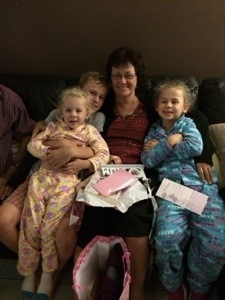 It’s been so comforting while my babies have been little to know they’ve had the next best thing to their mumma when I haven’t been there…nanny you are one in a million!! And so Mia’s first week of preschool is over and done with already and she’s about to start her second week! She did a lot better than I thought she would do and am very proud of her. 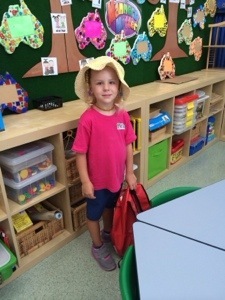 There were tears upon drop off and she was scared and apprehensive particularly on the first day, but on her second day she was an active participant in her class. 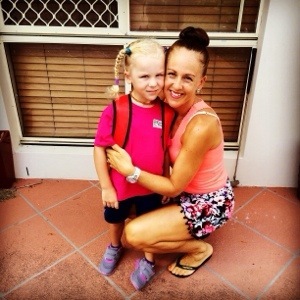 She is currently experiencing separation anxiety like her big sister, but she is letting herself embrace the life of a preschooler a lot sooner than Sienna did. Having already gone through separation anxiety with Sienna, I’m not as worried this time. I know from experience that Mia will settle. It just takes time. I know that she has an awesome teacher and staff at her centre that nurture her and make her feel safe which makes me feel better. I’m certainly riding the karma train as I did this to my mum lol! Turning 4 next month is a big step in a little person’s life! Since coming back from America, we’ve seen a huge shift in Mia’s confidence and independence and she has already been telling me that she is 4 now lol! But she’s still young and innocent. She still has meltdowns when she is extremely tired, is as stubborn as a mule and has her own Mia idiosyncrasies, but she’s socially engaging and developing like she should which makes me one happy mumma! So with the new school year officially starting on Tuesday, the knot for everyone will be untied. 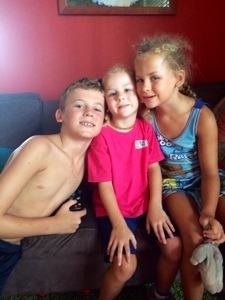 Apart from me working 3 days last week, the kids have been by my side for 7 weeks. 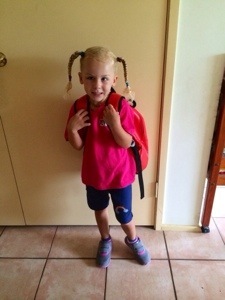 Bay is keen to go back to school but my little separation anxiety baby is already telling me she is going to miss me! 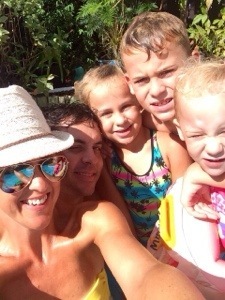 I know how she feels, it was hard to leave them last week, especially after our amazing holiday!! But everyone is ready. All books are covered, bags are packed, uniforms have been tried on and ready to go. 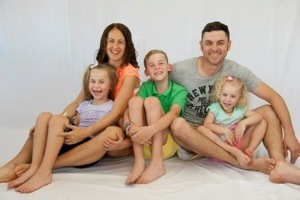 This year will be a year where we stand on our two feet and not rely on mum as much. This will be a new challenge for everyone. But we WILL make it work – provided we work together as a party of 5! It really is the year of untying of many knots….!! Here’s to a fantastic school year!! !